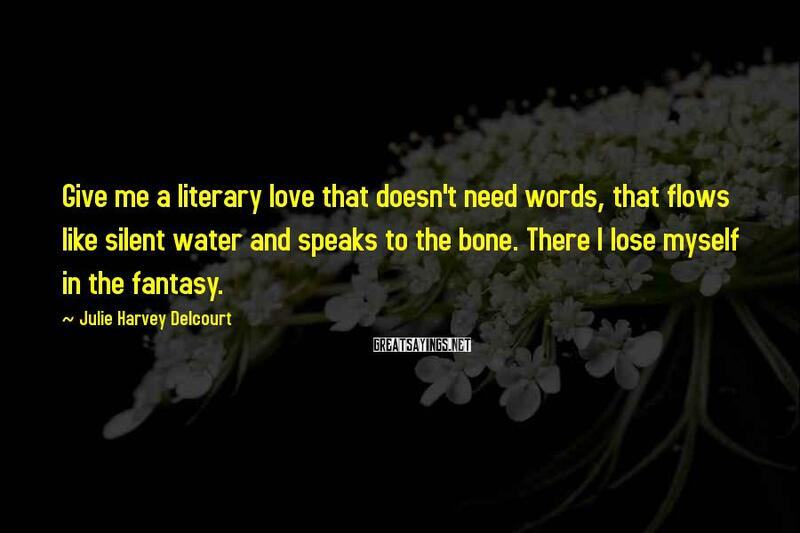 2 Julie Harvey Delcourt Famous Sayings, Quotes and Quotation. If you can't love or hate your characters then walk away from the keyboard. 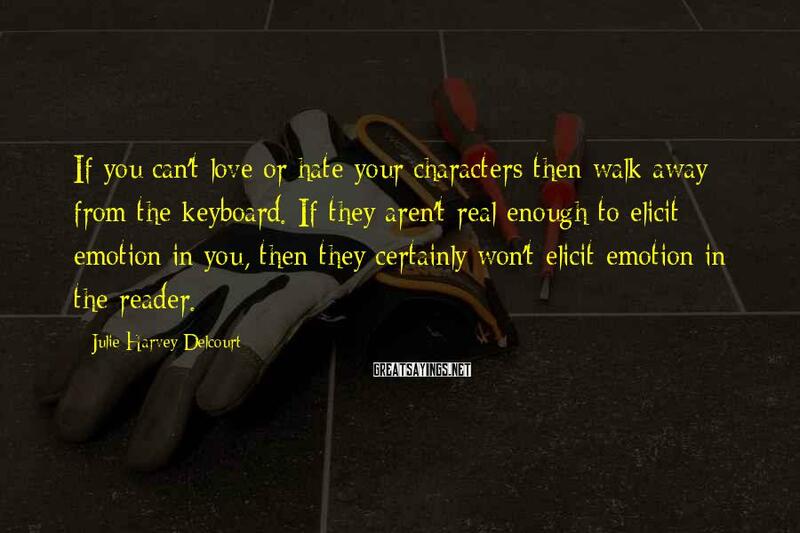 If they aren't real enough to elicit emotion in you, then they certainly won't elicit emotion in the reader. Give me a literary love that doesn't need words, that flows like silent water and speaks to the bone. There I lose myself in the fantasy.